Sudan has closed all Iranian cultural centres in the country and expelled the cultural attache and other diplomats, a government source has said, without giving an explanation for the move. Sudanese media speculated that the expulsions were linked to government concerns that Iranian officials were promoting Shia Islam in the largely Sunni country, but there was no confirmation from authorities. Sudan, isolated by UN and western sanctions partly linked to its conflict in Darfur, has sought allies and donors across the sectarian divides in the Middle East and further afield. That has often left it balancing competing interests and loyalties in the complex web of regional rivalries. 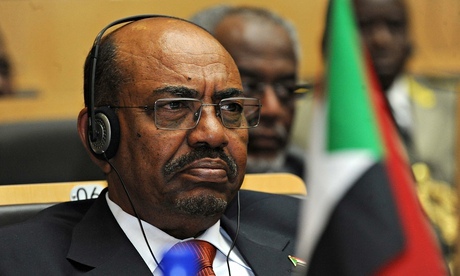 The country’s president, Omar al-Bashir, seized power in 1989 in a bloodless coup backed by Sunni Islamists. Sudan rejected an Iranian offer to set up air defences on its Red Sea coast after a 2012 air strike that Khartoum blamed on Israel – fearing it would upset Tehran’s regional rival, the Sunni superpower Saudi Arabia, Sudan’s foreign minister said in May. But Sudan, where many people follow the traditional Sufi branch of Islam, has also received delegations from senior Iranian politicians. Saudi Arabia, a key US ally in the region, has been competing with Iranfor influence in the Middle East. The rivalry has in effect divided the region into two camps, with countries either allied to Saudi Arabia or to Iran. “The Sudanese government ordered the closure of Iranian cultural centres in Sudan, and asked the cultural attache and the diplomats working in office at the Iranian cultural attache to leave Sudan within 72 hours,” the government source told Reuters. Posted on 2nd September 2014 by newsafrica. This entry was posted in Africa, Darfur Genocide, Iran, Islam, Omar Al Bashir, Religion, Sudan (North) and tagged Darfur, International Criminal Court, Khalid Abdel Aziz, Khartoum, Omar Al Bashir, Shia Islam, Sudan, War in Darfur. Bookmark the permalink.